Launching this week, Optus and Telstra are now battling over included streaming services in order to attract new and retain their existing mobile postpaid customers. Telstra’s mobile plans, will include unmetered Apple Music access, in addition to their current free 6 month Apple Music subscription for (most) eligible plans. The new plans, launching tomorrow, will also include three-month subscriptions to Netflix, Stan and Presto on post-paid plans ($95 and over, and BYO SIM Only plans $70 and over). This joins Telstra’s other entertainment offers, with free & unmetered access to AFL & NRL live streaming, and free premium access to Seven’s recent Olympics coverage via their app and website. 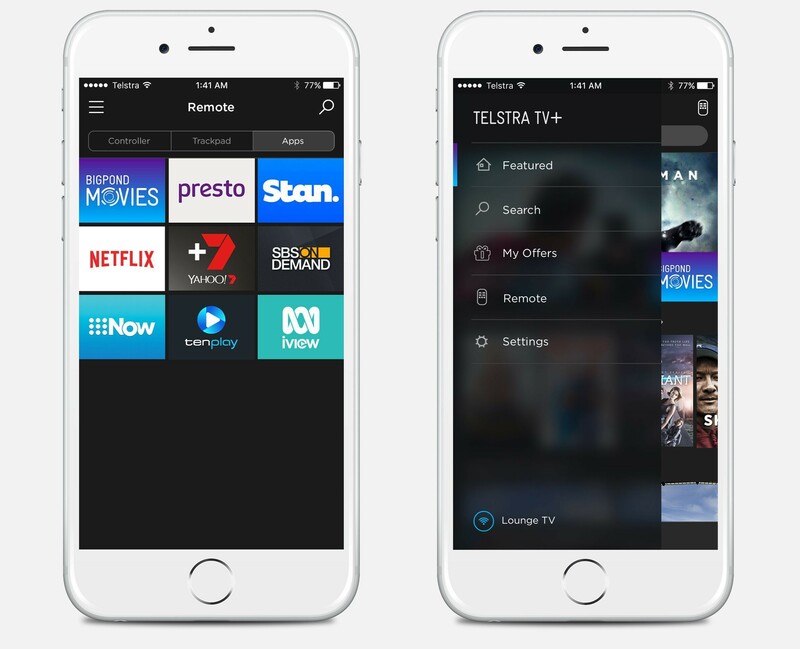 For those with a Telstra TV, a newly launched Telstra TV+ app available for Android and iOS, will search through shows available on Stan and Presto and movies from BigPond Movies – as well as acting as a remote control for the Roku powered box. Michele Garra, Executive Director Media, said the addition of the streaming subscriptions and data-free Apple Music to Telstra’s entertainment suite further highlighted the great value available to Telstra mobile customers. “Telstra mobile customers can now get Netflix, Stan and Presto, unmetered Apple Music and free access to live NRL or AFL, Netball and Basketball, providing an unmatched mobile entertainment experience,” Ms Garra said. Beating Telstra to the punch, Optus have also announced a big streaming push, offering unmetered music streaming for Spotify, Google Play Music, iHeartRadio and Pandora on all postpaid plans – an offer that has been available on prepaid for a couple of months now. 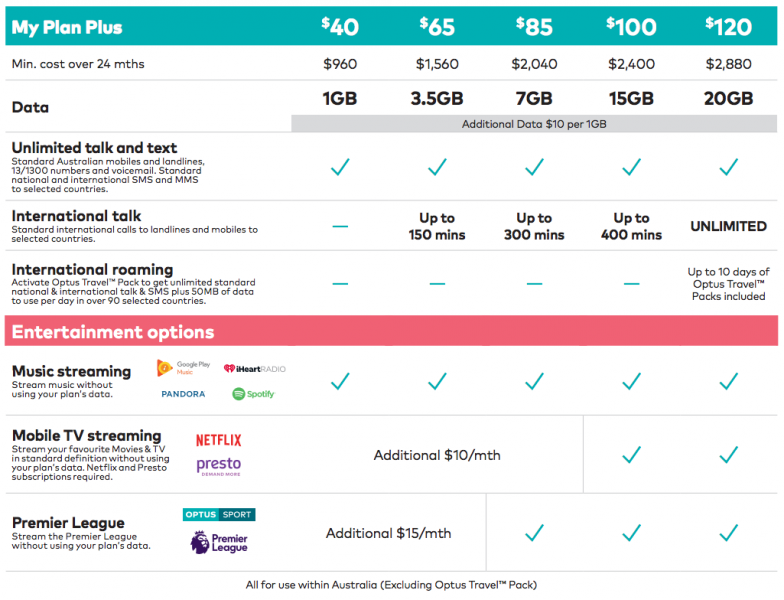 There’s also the option of paying $10/month (or included for the $100 & $120 My Plan Plus plans) for unmetered access to Presto and Netflix, which would be an Australian first (providing unmetered access to a big media catalog like the SVOD providers offer).